Music Together Vivo - The Obwisana Update - Hello, Everybody! Welcome to Music Together Vivo's new blog, The Obwisana Update. 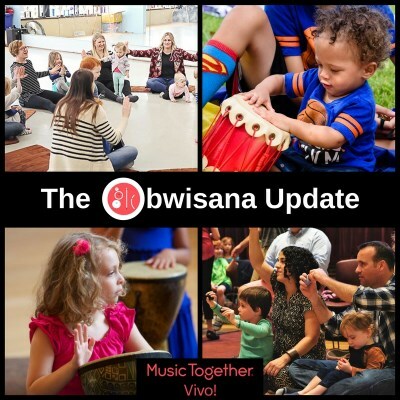 Our center director, Cheryl Sabo, wanted a way to be able to expand on some of the concepts your Music Together Vivo teachers bring up in class, and so the Obwisana Update was created. Please check back periodically for posts about early childhood development, musical development, ideas for how you can use the songs you learn in class as parenting tools (and just for fun too! ), and perhaps even personal insights and stories from our teachers as well. We might even get a bit crafty sometimes! If there's a topic you have any questions about, or would like to hear more about from us, please let us know by sending us a quick e-mail!